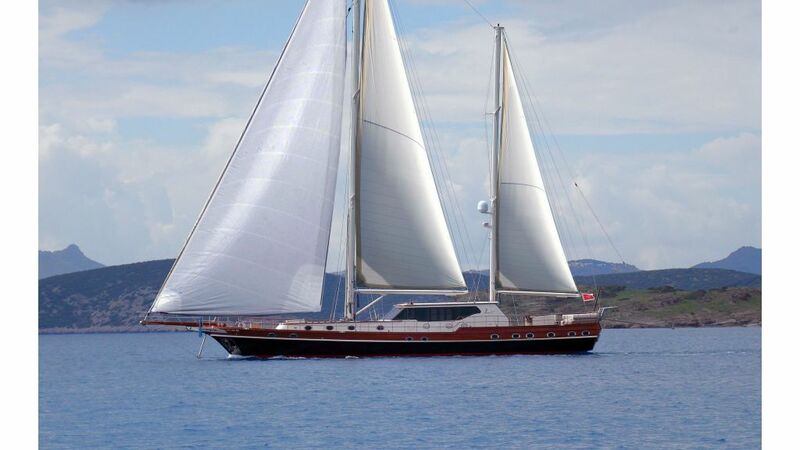 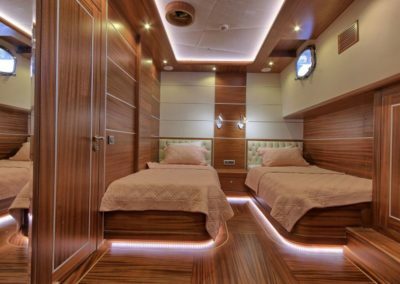 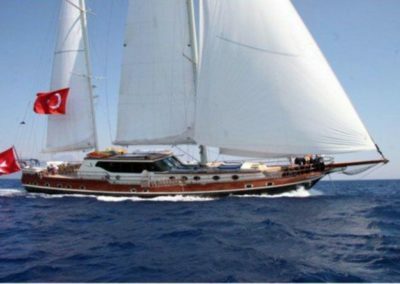 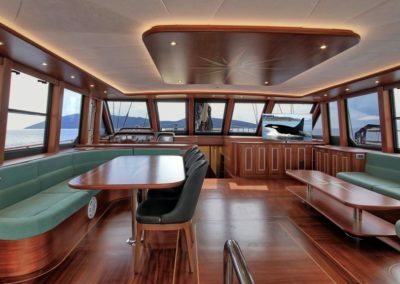 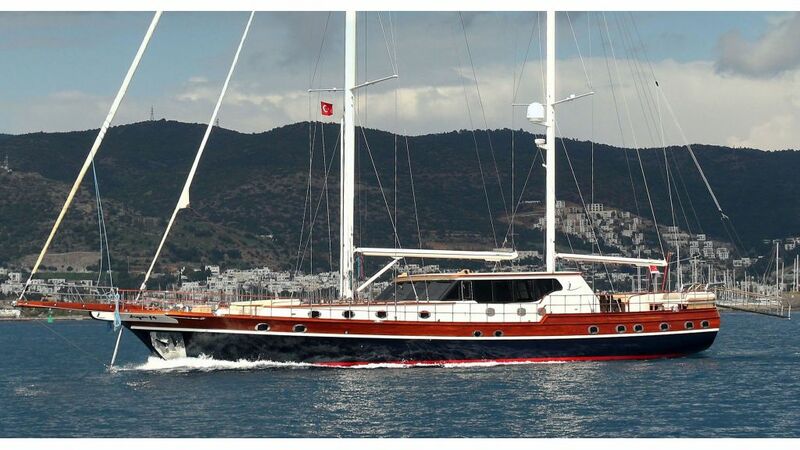 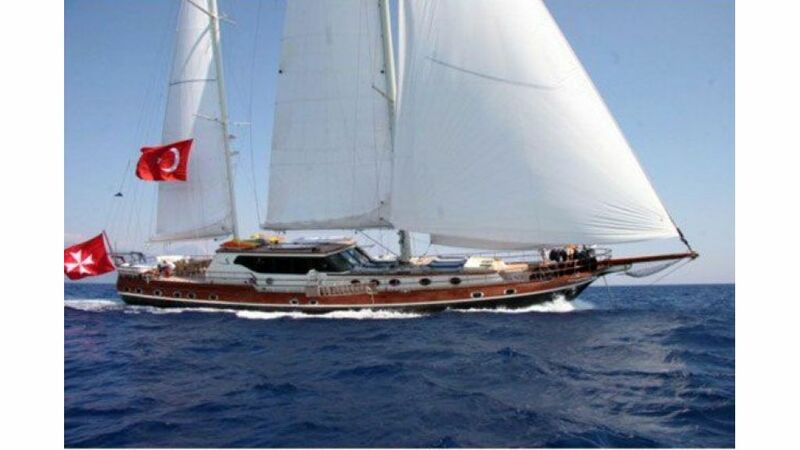 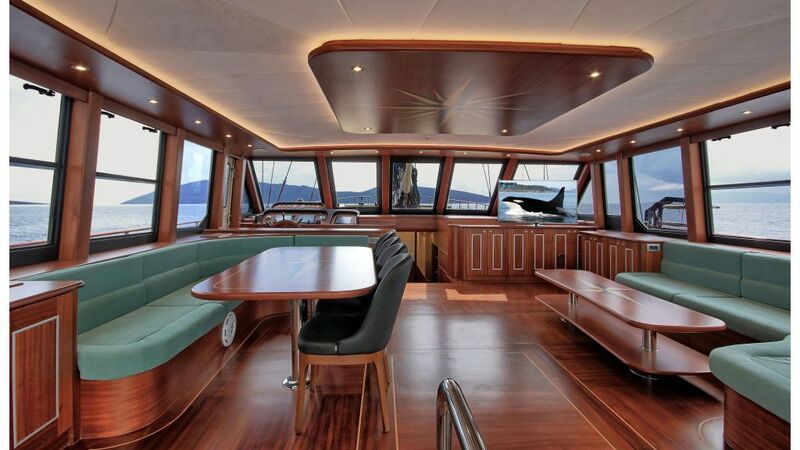 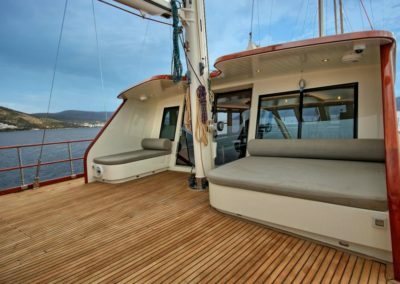 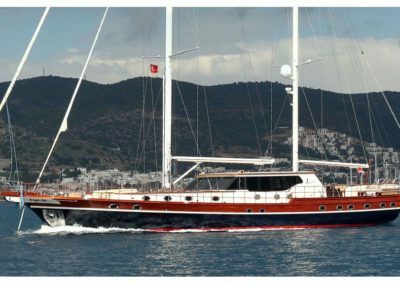 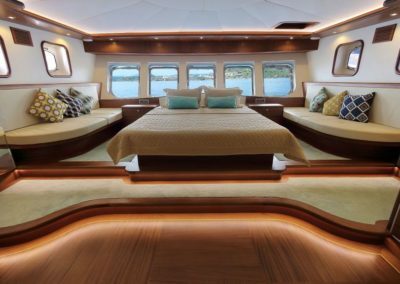 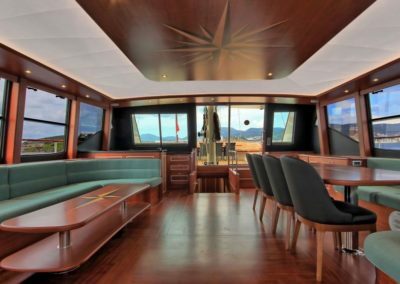 The production of this 39 meter long yacht was refurbished in 2016 for weekly rental service in 2017. 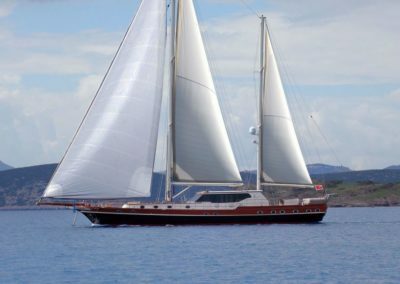 In our 2017 season we will serve blue cruise on the Iniona Sea, Athens, Corfu, Montenegro, will be at your service for our valued guests who love blue tours. 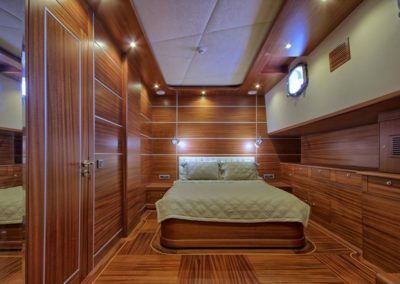 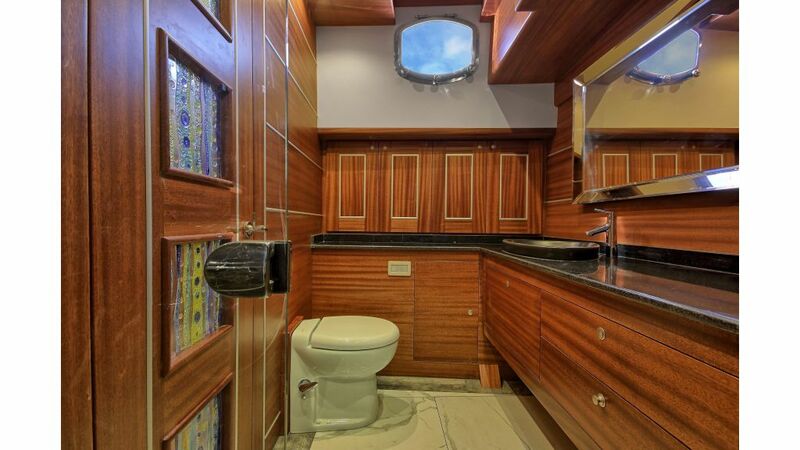 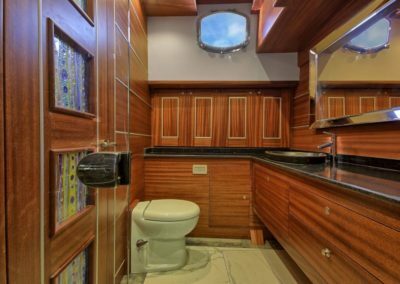 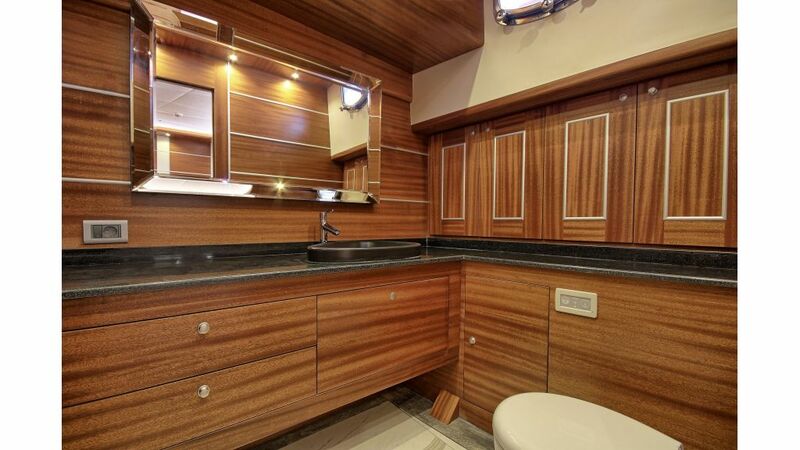 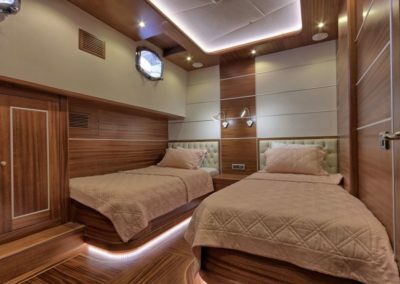 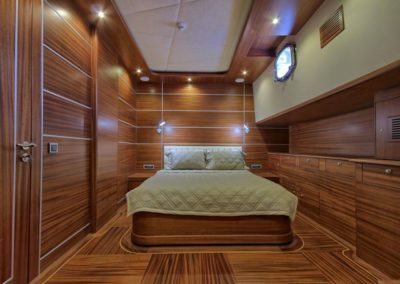 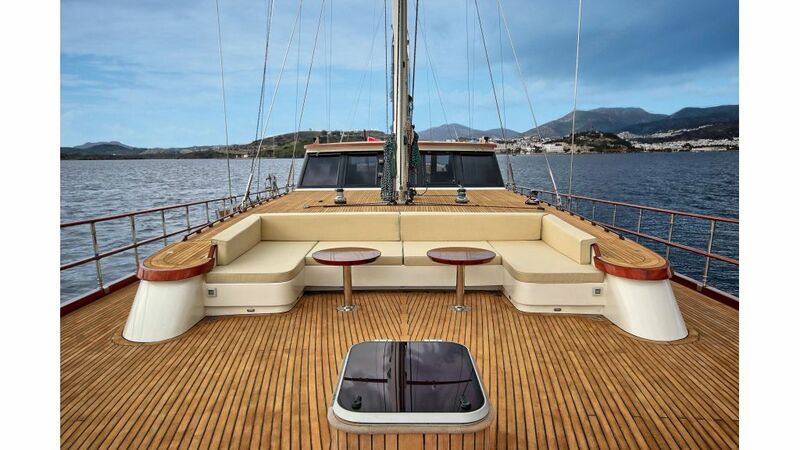 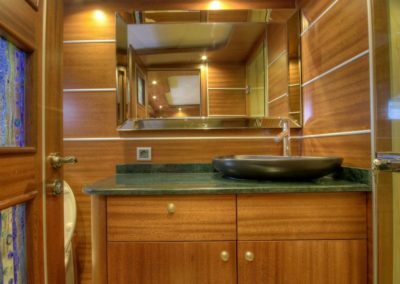 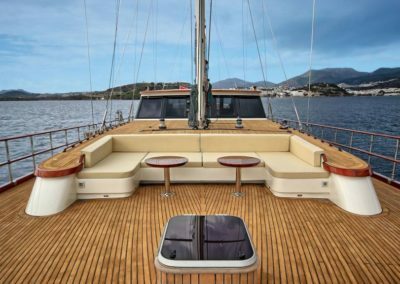 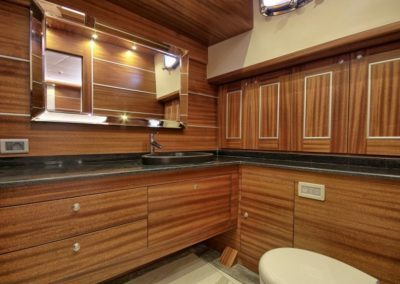 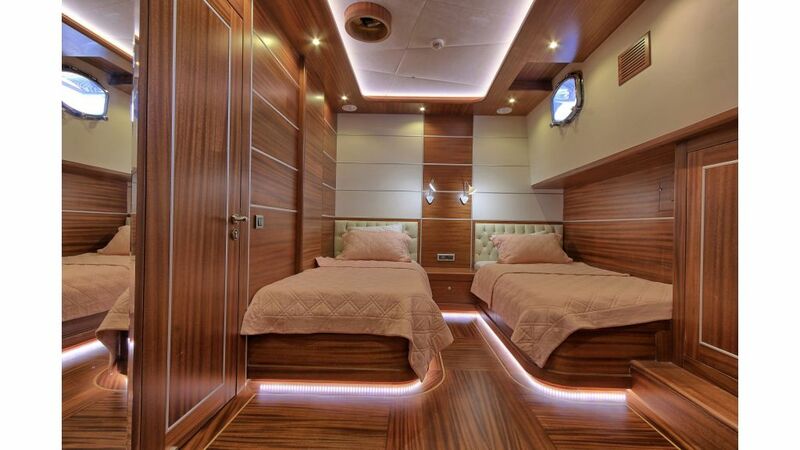 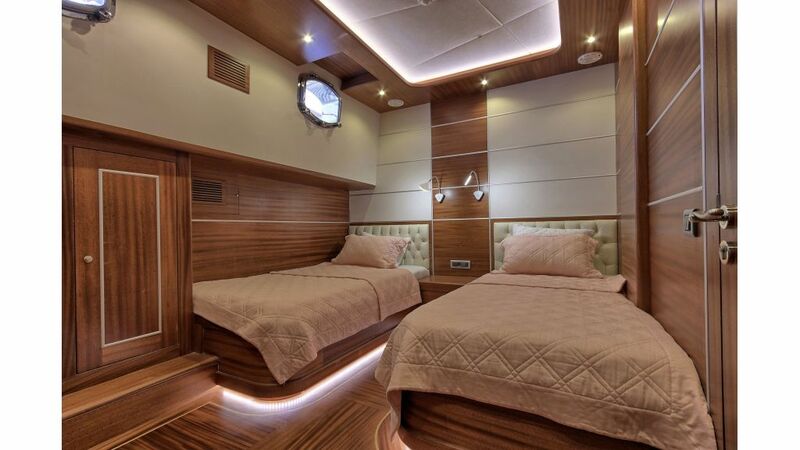 Manufacturers of this yacht have added modern and classic wooden structure with stained glass accessories and new generation ceramics. 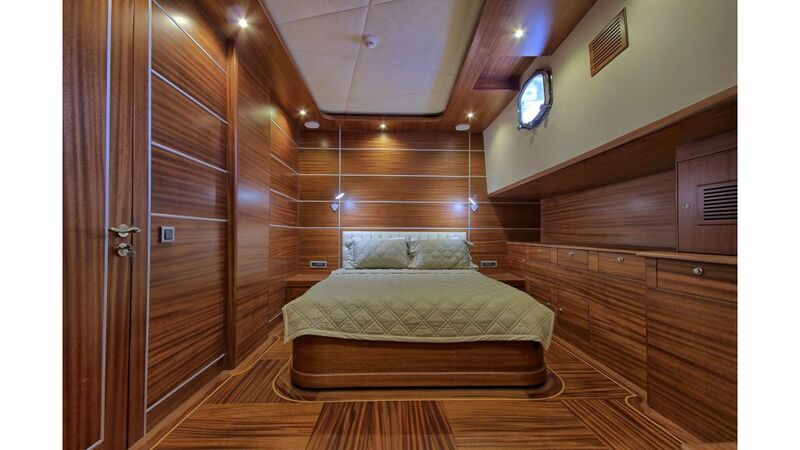 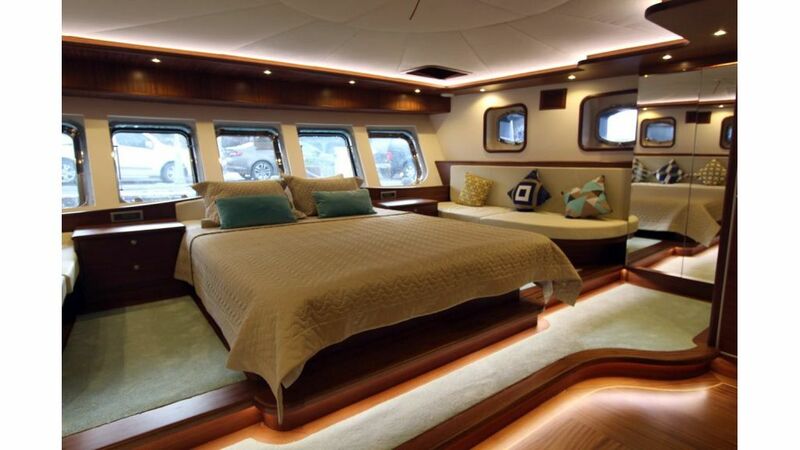 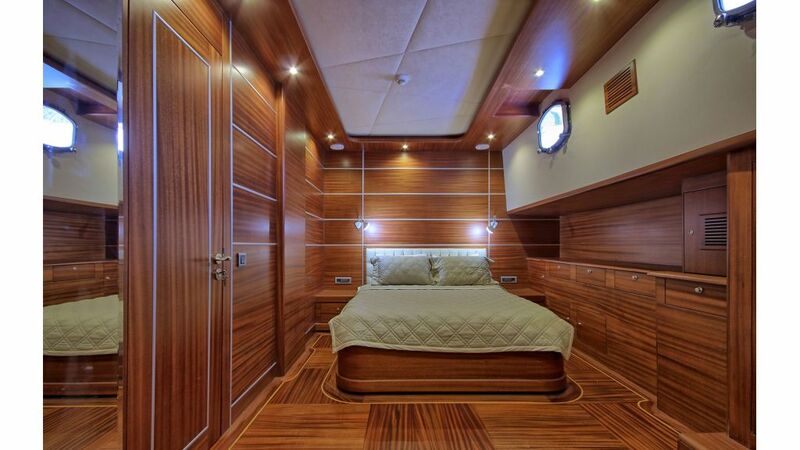 The outer structure of the yacht is painted, and the interior is made of wood. 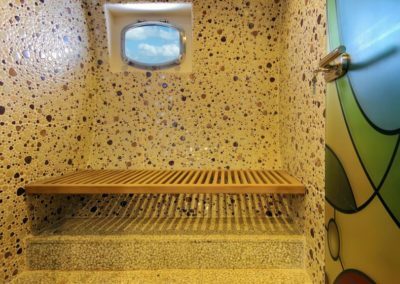 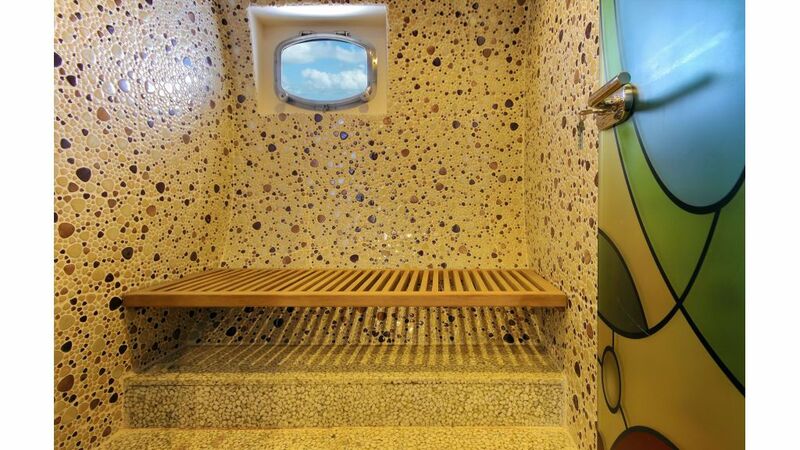 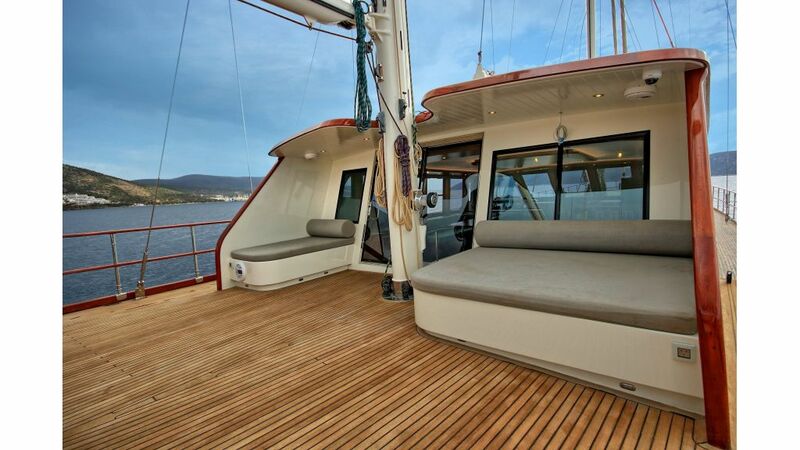 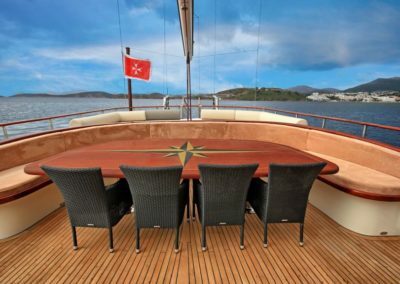 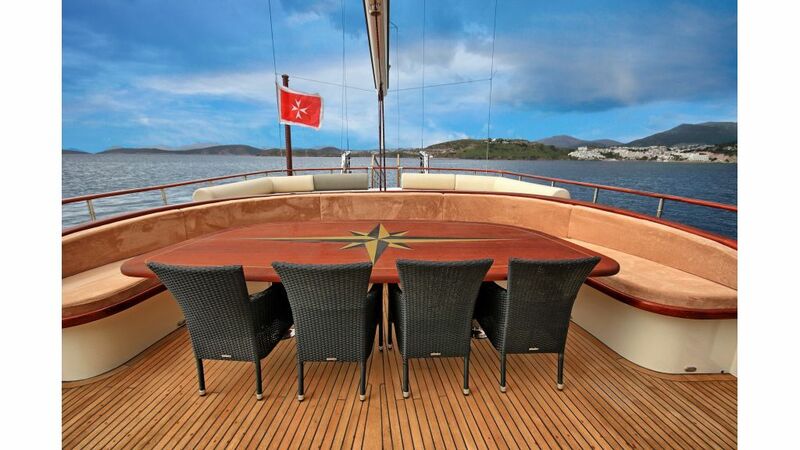 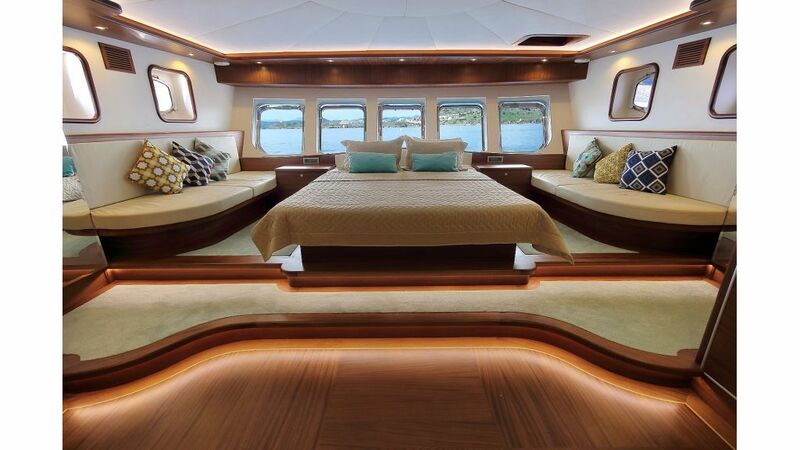 There are seating areas and sunbathing cushions on the front that you can spend good time looking at the views. 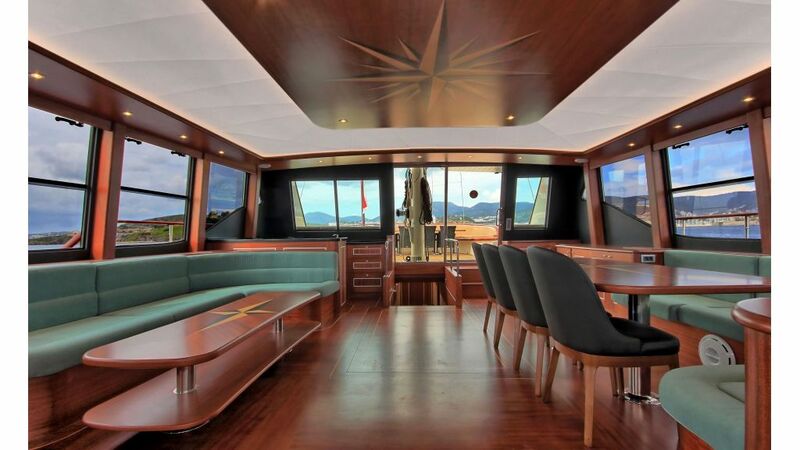 The main dining table is at the back and all of the cabins have TV, 24 hours air conditioning and each cabin has a shower / WC. 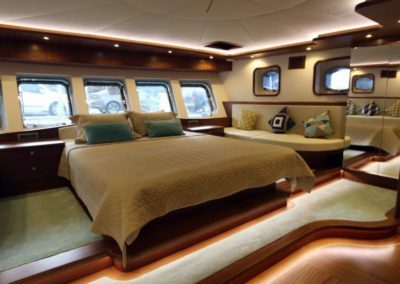 We have a crew of 5 people, including 1 captain, 1 cook, 2 seamen and 1 hostess, which we believe will increase the quality of the service offered so that the staff gives comfortable living areas. 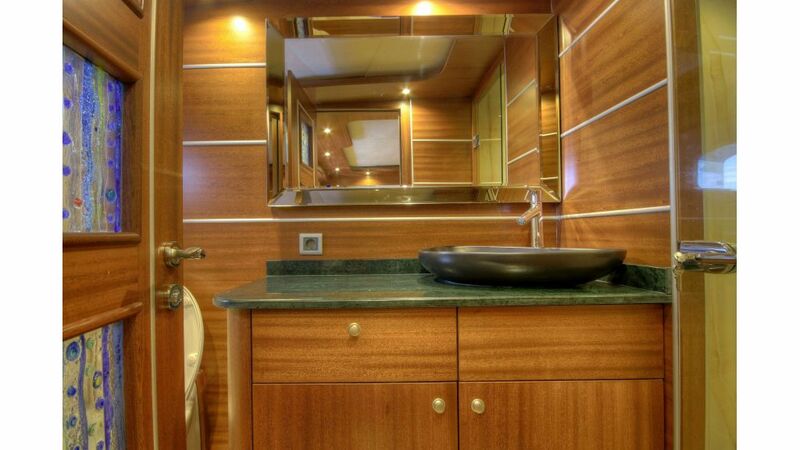 Our staff with have the ability to provide ultra luxurious service, showing our guests maximum sensitivity to privacy.